Dario Saric’s stat line from Saturday’s narrow 116-115 victory over the Orlando Magic was a solid stat line, arguably his best to-date on the young season. He finished with 13 points on a 4 for 12 effort from the field (3-8 3fg), plus nine rebounds and five assists. And while a surface level view of the Croatian’s performance on Saturday may not reveal the most efficient shooting numbers, the eye test told a different story. 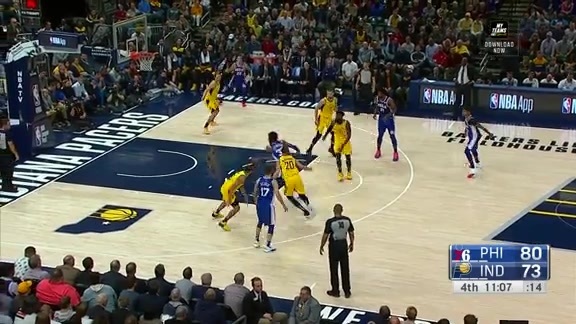 Mostly, Saric seemed to have more of a rhythm about him than in the Sixers’ first two outings of the year, specifically in respect to his perimeter jumpshots. His catch-and-release form was fluid, and the ball typically looked good coming out of his right hand. Saric later said in the locker room that he felt better especially in the early stages of the evening. While a guy as savvy and heady as Saric probably never truly “forgets” how to play the game, the figure of speech he used was noteworthy. Each of the first two seasons of Saric’s NBA career, he’s needed a few weeks to get going. In 2016-2017, perhaps it was simply a matter of a rookie getting acclimated to new surroundings. But a season ago, Saric didn’t really hit his stride until the calendar flipped to November. That was certainly a truism Saturday versus Orlando. Saric came out firing. His first two treys were also the first two triples for the Sixers, which would wind up tying a franchise record by the end of the night by hitting 17 triples in all. Brown and the Sixers’ coaches have been keeping an eye on the trajectory of Saric’s 3-point shot. 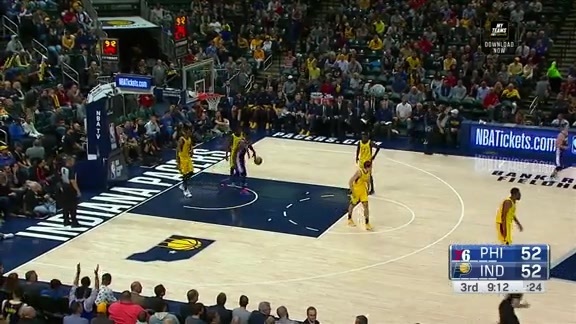 If he’s going to miss, the staff doesn’t want his threes to fall short. “I want to continue to look at that part of his game, that he gets his legs and his hips dropped, and his elbow under the ball, and he shoots to mean it,” Brown said. Of the five 3-pointers Saric missed Saturday, four (by our judgment) were on clean looks. Three of those four (again, by our judgment) were long, which Brown would prefer. ...and this one from the third, for examples. Brown knows the arc of a 3-point shot isn’t always the “perfect answer” to gauge how a shooter’s doing, and also that that patience plays a role in all this, too. Those factors, combined with Saric’s track record, should give all parties involved the confidence that the third-year Sixer is trending in the right direction.